Innovative, stylish and practical, you’ll find B.box’s everyday essentials – created by two mums, naturally – an absolutely blessing. Designed to mimic natural feeding, and with different flow rates for different ages, stages and sucking patterns, B.box’s bottle teats pair perfectly with their Essential Baby Bottle, so that your baby’s bottle can be as individual as your baby! Be organised and be cool, with B.box. Recommended for newborns from birth to 3 months of age. Designed to be used with wide-necked bottles, and the B.box Essential Baby Bottle. 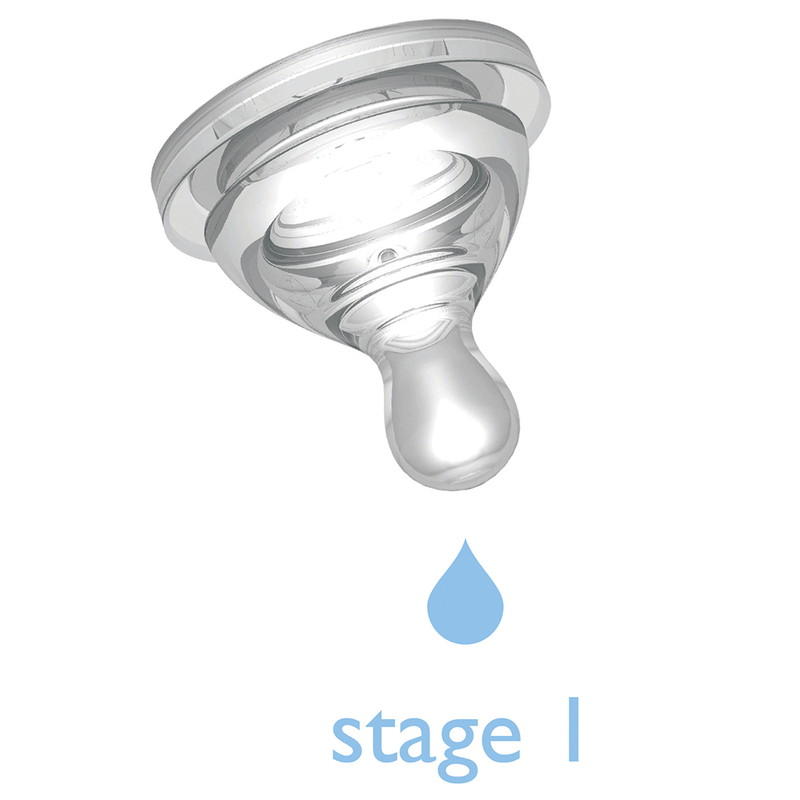 Stage 1 – lower flow rate. Created to suit different ages, stages and sucking patterns.